Stable. Incompatible with strong oxidizing agents. Light sensitive. Hygroscopic. Polyvinylpyrrolidone is abbreviated as PVP, and is the polymer of vinylpyrrolidone. According to the different degree of polymerization, it is further classified into soluble PVP and insoluble PVPP (polyvinyl polypyrrolidone). Molecular weight of the soluble PVP is 8,000 to 10,000.The soluble PVP can be used as a precipitating agent which can be settle down through its action with polyphenols. Using this method, it is easily to have residual PVP in the alcohol. Due to the savings effect of PVP inside the human body, the World Health Organization doesn’t recommend to apply this substance. In recent years, the use of soluble PVP has been rare. Insoluble PVPP system had began to be used in the beer industry since the early 1960s. It has a relative molecule weight greater than the relative mass greater than 700,000. It is a insoluble polymer derived from the further cross-linking and polymerization of PVP and can be used as an adsorbent of polyphenols with a good efficacy. Polyvinyl pyrrolidone (PVP) is a water soluble polyamide. Commercially available PVP is divided into four viscosity grades according to its press K value (Fikentscher K value): K-15, K-30, K-60, K-90, with the average molecular weight being 10,000, 40000,160000, and 360000, respectively. 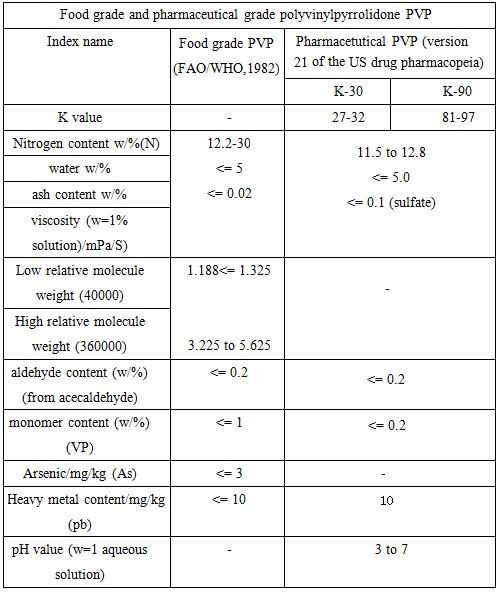 K value or molecular weight is an important factor which decides the various properties of PVP. Polyvinyl pyrrolidone (PVP) is dissolved in water, chlorinated solvents, alcohol, amine, nitro-paraffin and low molecular weight fatty acids, and is mutually soluble with most inorganic salts and a variety of resin; insoluble in acetone and ether. PVP used for the matrix of dropping pill matrix is odorless, tasteless, white to pale yellow waxy solid with the relative density being 1.062, and its 5% aqueous solution pH being 3 to 7. PVP is hygroscopic and of good thermal stability, and can be dissolved in various kinds of organic solvents, and has high melting point. Adding certain natural or synthetic polymers or organic compounds can effectively adjust the PVP’s hygroscopicity and softness. PVP is not prone to have chemical reaction. Under normal storage conditions, dry PVP is quite stable. PVP has excellent physical inertia and biocompatibility and has not stimulation to skin, eyes no stimulation with no allergic reactions and being non-toxic. Because of the hydrogen bonding or complexation effect, PVP’s viscosity is increased and this further inhibits the formation and growth of crystallized nuclei of drugs, making the drug being in the amorphous state. The dropping pill whose matrix is PVP can enhance the dissolution and bioavailability of poorly soluble drugs. 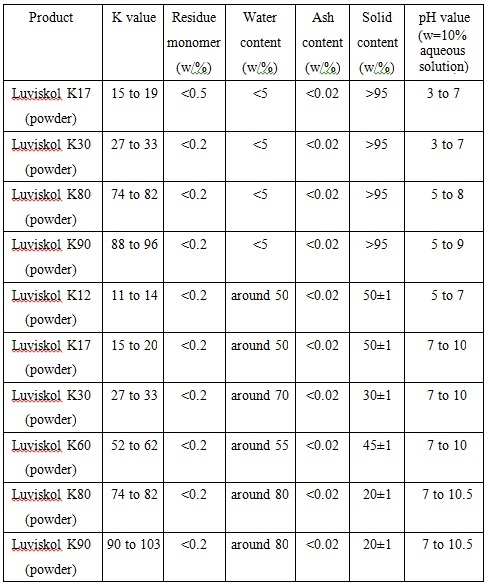 In general, the greater the PVP amount, the higher dissolution and solubility of drug in the medium. Susana et al have studied the dissolution of the PVP solid dispersant of the slightly soluble drug albendazole. The increased amount of PVP (k30) can increase the dissolution rate and efficiency of drug inside the solid dispersant. Teresa et al have studied the dissolution of the poorly soluble drugs, flunarizine in PVP solid dispersant and obtained similar conclusion. PVP also found that the higher the content, the more significant increase in dissolution. IR has showed that flunarizine and PVP has no chemical reaction except in some cases that a best dissolution efficacy is obtained only in certain ratio between some drugs with the PVP. Tantishaiyakul et al has found that: when the ratio of piroxicam: PVP is 1:5 and 1:6, the dissolution of the solid dispersant is the largest with a 40 times as high as that of single drug within 5min. PVP can also be dissolved in another molten dropping pill matrix, such as polyethylene glycol (PEG), polyoxyethylene monostearate (S-40), poloxamer and stearyl acid, glyceryl monostearate, etc for making complex matrix. PVP is not easy to have chemical reaction. When stored at normal conditions, dry PVP is quite stable. Solution undergone mildew treatment is also stable. When heated in air to 150 °C or mixed with ammonium persulfate to heat at 90 °C for 30min, PVP will be exchanged to become a water-insoluble compound. In the presence of azo compound or a dichromate oxidizing agent, light will cause PVP solution to become gel. The co-heating of PVP solution with strong base (such as sodium silicate or trisodium phosphate) will generate precipitation. Many different compounds can generate complexes with PVP. For example, the complexes of PVP and iodine is very stable and have a good bactericidal effect and can reduce its toxicity; Adding the copolymers of the polyacrylic acid, tannic acid or methyl vinyl ether and maleic acid to the aqueous solution of PVP will generate insoluble complexes which are insoluble in water, alcohols and ketones. But when being treated with base for neutralize the poly-acid can reverse the reaction; complexation between PVP and toxins, drugs and toxic chemicals can reduce their toxicity; some kinds of dyes can also form a strong complex with PVP, which is the basis for using PVP as a dye bleaching agent. Water and methanol is the preferred solvent of PVP. pH value has little effect on the viscosity of the aqueous solution of PVP, for example, at 25 °C, pH range: 0.1~10, aqueous solution of PVP K-30 with a mass fraction of 5% concentration has a viscosity of 2.3~2.4mPa • s; in concentrated hydrochloric acid, this is 4.96mPa • s. Effect of temperature on the viscosity of the PVP aqueous solution is also relatively not obvious. Un-cross-linked PVP solution is not particularly thixotropic unless under very high concentration and display a short relaxation time. 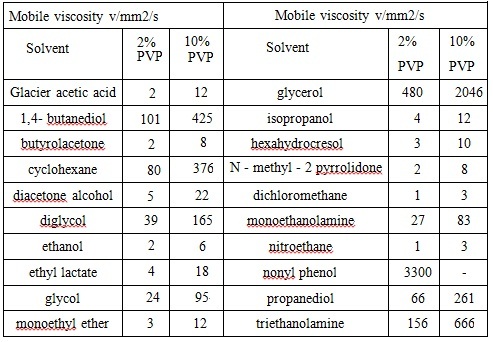 The chart 3 below lists the viscosity of PVP K-30 in a variety of solvents. Reference: Edited by Binyi Qiu, “Compendium of cosmetic chemistry and technology” Volume 1 Beijing: China Light Industry Press, 1997. Polyvinylpyrrolidone is mainly used as pharmaceutical excipient, blood compatibilizer, cosmetics thickening agents, latex stabilizers, and clarifying agent of beer brewing. Not matter whether in solution or in the form of film, PVP always has a high degree of compatibility. It has good compatibility with various kinds of inorganic salt solution, many natural and synthetic resins and other chemical compatibility. Examples of their compatibility are seen at chart 4 and Figure 5. PVP is physiologically inert. Acute oral toxicity of PVP: LD50 > 100g/kg. It does not irritate the skin or eyes, do not cause skin allergies. A large number of long-term toxicology studies have confirmed that polyvinylpyrrolidone (PVP) can tolerate intraperitoneal, intramuscular, intravenous administration and parenteral applications. Subacute and chronic toxicity result was negative. Solubility: soluble in water, ethanol and chloroform and insoluble in ether. This is measured by the OT-42 method. Dichromate precipitation test: in 5 mL of2% sample solution, add 5 mL dilute hydrochloric acid solution (TS-117), further add 5 mL of water plus 2 mL of 10% potassium dichromate solution and 2ml. This should form an orange precipitate. Take 75 mg of cobalt nitrate and 300 mg of ammonium thiocyanate for being dissolved in 2ml of water; add 5 mL of 2% aqueous sample solution; after the mixing, add dilute hydrochloric acid test solution (TS-117) for acidification. This should form light blue precipitate. Take 5 mL of 2% sample solution; add 1 mL of 25% hydrochloric acid, 5 mL of 5% barium chloride and 1 mL 5% molybdenum tungsten phosphoric acid solution. This should generate a lot of white precipitate which gradually turns blue in the sunlight. The pH value of 5% sample solution should be 3.0 to 3.7. This is measured by conventional means. Adding a few drops of iodine test solution (TS-124) to 5 mL of 0.5% sample solution should produce a deep red color. Take 1 g of sample, add water to 10 ml as a suspension, add 0.1 mL of iodine test solution (TS-124), after mixing by shaking for 30s, iodine test solution should fade (to distinguish polyvinylpyrrolidone due to that polyvinylpyrrolidone can form red color). Add 1 mL of starch test solution (TS-235), after shaking and mixing, there should be no blue color formed. to produce blue. Estimated from the nitrogen content according to the following index of quality. ADI does not make special provision (FAO/WHO, 2001). It is safe for food (FDA, §121.1110, §173.50, 2000). It is the cross-linked homopolymer of pure vinylpyrrolidone. It is hygroscopic and free-flowing white or off-white powder. It has a slight foul smell. 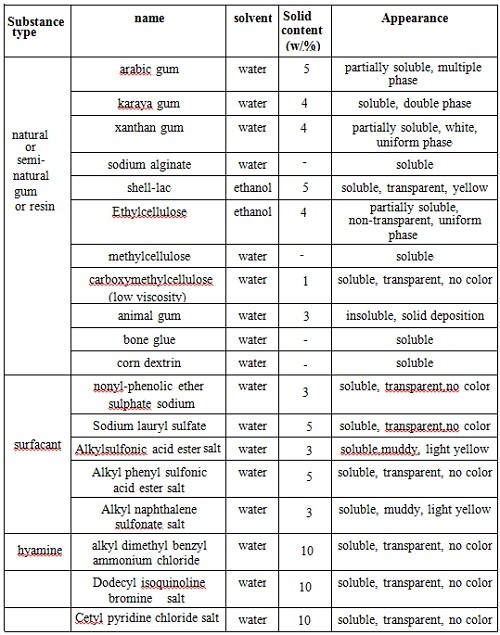 It is insoluble in common solvents such as water, ethanol and ether. So its molecule weight range can’t be measured. However, PVP has ability to form complex with various kinds of substances (such as “Hu” class substance which can lead to the discoloration of a variety of wines and beverages discoloration). Also it is easily to be removed after filtration because of its insolubility. Clarifying agent; pigment stabilizer; colloidal stabilizer; It is mainly used for beer clarifying and quality stabilizing (reference amount 8~20g/100L, maintained for 24h and remove it by filtration), and can also be applied in combination with enzymes (protease) and protein adsorbents. It is also used to clarify the wine and as a stabilizer to prevent discoloration (reference amount 24~72g/100L). Clarifying agents; stabilizers; thickeners agent; tablet fillers; dispersants; PVP of molecular weight 360,000 are often used as the clarifying agent of beer, vinegar, and grape wine. Used as the fixing liquid for gas chromatography. It is used as a colloidal stabilizer and clarifying agent for beer clarification. Apply proper amount according the demands of production. It can be used for pharmacy, aquaculture, and livestock disinfectant for the sterilization of the skin and mucous. PolyFilterTM molecule has an amide bond for absorbing the hydroxyl groups located in polyphenol molecule to form hydrogen bonds, and therefore, can be used as the stabilizer of beer, fruit wine/grape wine, and drinking wine to extend their shelf life and improve the transparency, color and taste. The products have two specifications: disposable type and regeneration type. Disposable products are suitable for application by SMEs; renewable products demand the purchase of special filtration equipment; but since it is recyclable, it is suitable for large breweries for recycle application. In daily cosmetics, PVP and its copolymer has good dispersion property and filming property, and thus being able to be used as a setting lotion, hair spray and styling mousse, as opacifiers for hair care agents, as the stabilizer of shampoo foam, as wave styling agent and as the dispersants and affinity agents in hair dye. Adding PVP to cream, sunscreen, and hair removal agent can enhance wetting and lubricating effect. Taking advantage of the excellent properties of PVP such as surface activity, film-forming and non-irritating to the skin, no allergic reactions, etc., has broad prospects in its application in hair care and skin care products. Its crude product comes from the polymerization of vinylpyrrolidone under basic catalyst or the existence of N, N'-divinyl amidine and further cross-inking reaction. Then use water, 5% acetic acid and 50% ethanol for reflux to until extract ≤50mg/kg (for over 3h). The 30% to 60% aqueous solution of the purified 1-vinyl-2-pyrrolidone, in the presence of ammonia or amines and also with hydrogen peroxide as the catalyst, has cross-linking and homo-polymerization reaction at a temperature of 50 °C and subject to further purification to obtain the final product. Hygroscopic, white or yellowish-white powder or flakes. Povidone occurs as a fine, white to creamy-white colored, odorless or almost odorless, hygroscopic powder. Povidones with K-values equal to or lower than 30 are manufactured by spray-drying and occur as spheres. Povidone K-90 and higher K-value povidones are manufactured by drum drying and occur as plates. ChEBI: A vinyl polymer composed of repeating -CH2-CR- units where R is a 2-oxopyrrolidin-1-yl group. Povidone is manufactured by the Reppe process. Acetylene and formaldehyde are reacted in the presence of a highly active copper acetylide catalyst to form butynediol, which is hydrogenated to butanediol and then cyclodehydrogenated to form butyrolactone. Pyrrolidone is produced by reacting butyrolactone with ammonia. This is followed by a vinylation reaction in which pyrrolidone and acetylene are reacted under pressure. The monomer, vinylpyrrolidone, is then polymerized in the presence of a combination of catalysts to produce povidone. Kollidon CL (BASF); Kollidon CLM (BASF); Polyplasdone (International Specialty Products);Acu-dyne;Adapettes;Adsorbobase;Adsovbotear;Agent at 717;Albigen a;Aldacol q;Amiorel eritro;Amyderm s;Andrestrac 2-10;Anexa;B 7509;Betaisod;Bridine;Clinidine;Final step;Frepp/sepp;Ganex p 804;Ga-pvp-101;Gyno-bidex;Isoplasma;Jodoplex;K 115;Kollidon 17;Kollidon 25;Kollidon 30;Kollidon 90;Kollidon ce 50/50;Kollidon k 25;Kollidon k 30;Luviskol k 17;Luviskol k 25;Luviskol k 30;Luviskol k 90;Luvisteol;Medicort;Molycu;Mundidon;Neojodin;Oftan flurekain;Peragal st;Periston-n-toxobin;Pevidine;Plasmadone;Plasmoid;Plassint;Podiodine;Polyclar at;Polyclar h;Polyclar l;Polyplasdone xl;Polyvidone-escupient;Polyvinyl pyrrolidone;Povadyne;Povidone k 29-32;Pvp 50;Pvp0;Pvp-k 15;Pvp-k 25;Pvp-k 30;Pvp-k 60;Pvp-k 90;Pvp-macrose;Pvp-macrox;Rocmuth;Sd 13;Soft-care;Tears plus;Venostasin retard;Vetedine;Yodiplexin. Polyvidone, a polymer of vinylpyrrolidinone, is an excipient used as a suspending and dispersing agent. Injectable preparations containing polymers with a molecular weight in the order of 12,000 have caused painful local granulomatous lesions. This has led to the withdrawal of polyvidone from such preparations in some countries. Polyvidone was formerly also used as a plasma expander but, because it was sequestered within the liver and spleen, this use has been discontinued. However, it remains widely used as a vehicle for ophthalmic preparations, and as the major component of artificial tears. 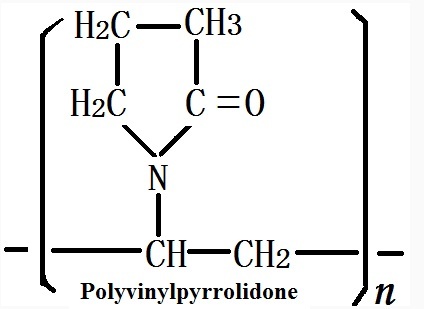 Polyvinylpyrrolidone is a polymeric material and probably has low reactivity. Polyvinylpyrrolidone reacts as a weak base. SYMPTOMS: Polyvinylpyrrolidone may cause interstitial fibrosis in the lungs. Lesions regress when patient is no longer being exposed to the compound. Flash point data for Polyvinylpyrrolidone are not available, but Polyvinylpyrrolidone is probably non-flammable. Although povidone is used in a variety of pharmaceutical formulations, it is primarily used in solid-dosage forms. In tableting, povidone solutions are used as binders in wet-granulation processes.Povidone is also added to powder blends in the dry form and granulated in situ by the addition of water, alcohol, or hydroalcoholic solutions. Povidone is used as a solubilizer in oral and parenteral formulations, and has been shown to enhance dissolution of poorly soluble drugs from solid-dosage forms. Povidone solutions may also be used as coating agents or as binders when coating active pharmaceutical ingredients on a support such as sugar beads. Povidone is additionally used as a suspending, stabilizing, or viscosity-increasing agent in a number of topical and oral suspensions and solutions. The solubility of a number of poorly soluble active drugs may be increased by mixing with povidone. Polyvinylpyrrolidone is widely used as is in cosmetics such as hair care products and in medical products. It acts as iodophor in iodine-polyvinylpyrrolidone. PVP is an irritant and has been claimed as the allergen in some cases of dermatitis from iodine-polyvinylpyrrolidone (although iodine is more likely the hapten). It may cause type I contact urticaria or anaphylaxis. Mtldly toxic by intraperitoneal and intravenous routes. Questionable carcinogen. When heated to decomposition it emits toxic fumes of NOx. Povidone has been used in pharmaceutical formulations for many years, being first used in the 1940s as a plasma expander, although it has now been superseded for this purpose by dextran. Povidone is widely used as an excipient, particularly in oral tablets and solutions. When consumed orally, povidone may be regarded as essentially nontoxic since it is not absorbed from the gastrointestinal tract or mucous membranes.Povidone additionally has no irritant effect on the skin and causes no sensitization. exists that povidone may accumulate in the organs of the body following intramuscular injection. A temporary acceptable daily intake for povidone has been set by the WHO at up to 25 mg/kg body-weight. Povidone darkens to some extent on heating at 150°C, with a reduction in aqueous solubility. It is stable to a short cycle of heat exposure around 110–130°C; steam sterilization of an aqueous solution does not alter its properties. Aqueous solutions are susceptible to mold growth and consequently require the addition of suitable preservatives. Povidone may be stored under ordinary conditions without undergoing decomposition or degradation. However, since the powder is hygroscopic, it should be stored in an airtight container in a cool, dry place. Purify it by dialysis, and freeze-drying. Also by precipitation from CHCl3 solution by pouring into ether. Dry it in a vacuum over P2O5. For the crosslinked polymer purification is by boiling for 10minutes in 10% HCl and then washing with glass-distilled water until free from Cl ions. Finally, Cl ions are removed more readily by neutralising with KOH and continued washing. Povidone is compatible in solution with a wide range of inorganic salts, natural and synthetic resins, and other chemicals. It forms molecular adducts in solution with sulfathiazole, sodium salicylate, salicylic acid, phenobarbital, tannin, and other compounds; see Section 18. The efficacy of some preservatives, e.g. thimerosal, may be adversely affected by the formation of complexes with povidone. Accepted for use in Europe as a food additive. Included in the FDA Inactive Ingredients Database (IM and IV injections; ophthalmic preparations; oral capsules, drops, granules, suspensions, and tablets; sublingual tablets; topical and vaginal preparations). Included in nonparenteral medicines licensed in the UK. Included in the Canadian List of Acceptable Non-medicinal Ingredients. 9003-39-8 US $1.00 / KG 1KG High quality manufacturer TOP 3 largest production factory in China Chemwill Asia Co.,Ltd.